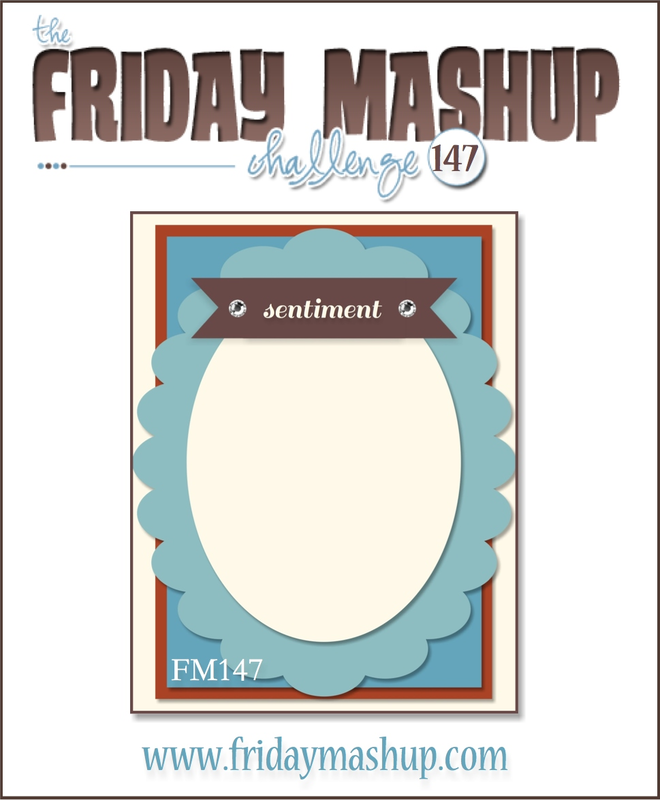 Today Avery is bringing us her first sketch challenge at the Friday Mashup, and its a great one! The only thing I changed from it was the sentiment. The stamp I used has the sentiment included in it so I couldn't move it. Otherwise my sketch stayed true! Avery would also like to see some spritzing or splattering on our projects. Now, I knew that was part of the Mashup but somewhere along the line I totally spaced that when making my card and therefore I don't have any on mine :( So sorry Avery, it wasn't intentional! Head over to The Friday Mashup and check out Avery's first sketch with us and then give it a whirl, we love seeing what everyone comes up with! or Create a project using the "Sketch & Spritzing". 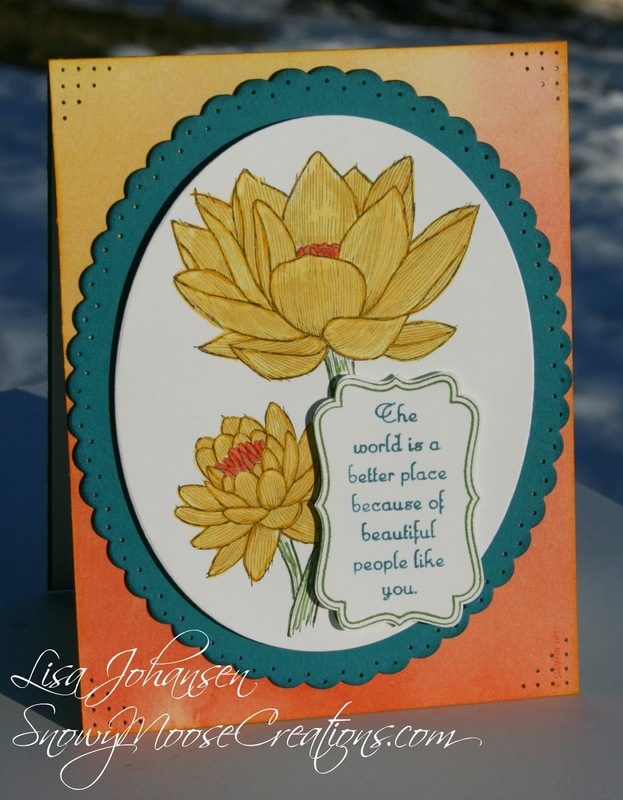 This is beautiful, Lisa! I have been eyeing this stamp for a bit now but haven't ordered it yet. The off-set piercing on the scalloped oval is just lovely! Great colours too. Oh, Lisa...this is just beautiful. The colors complement each other so nicely. Your sponging is expert!